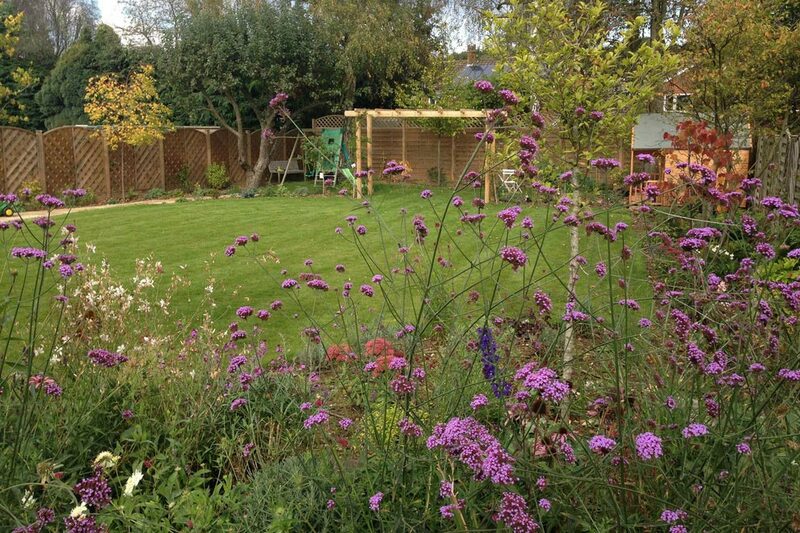 This large garden was completely empty other than for a few mature trees at the bottom of the garden. 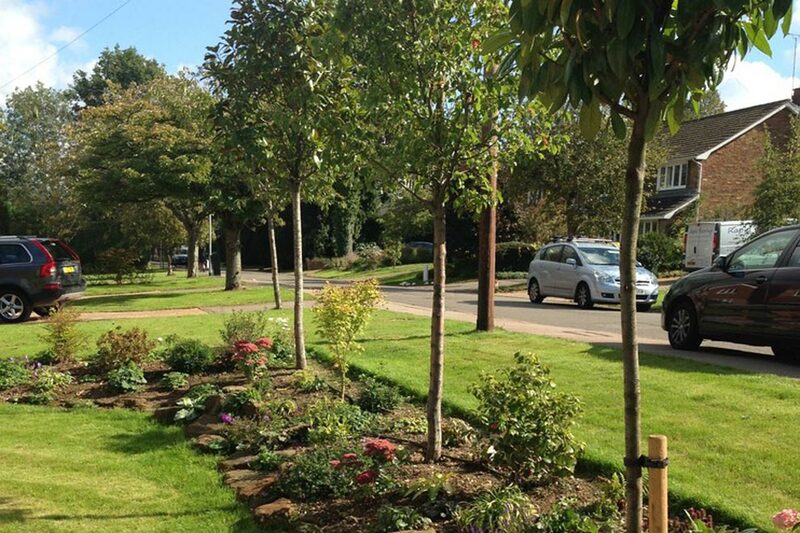 We added a large amount of semi- mature trees and a long path for children to use their bikes on. 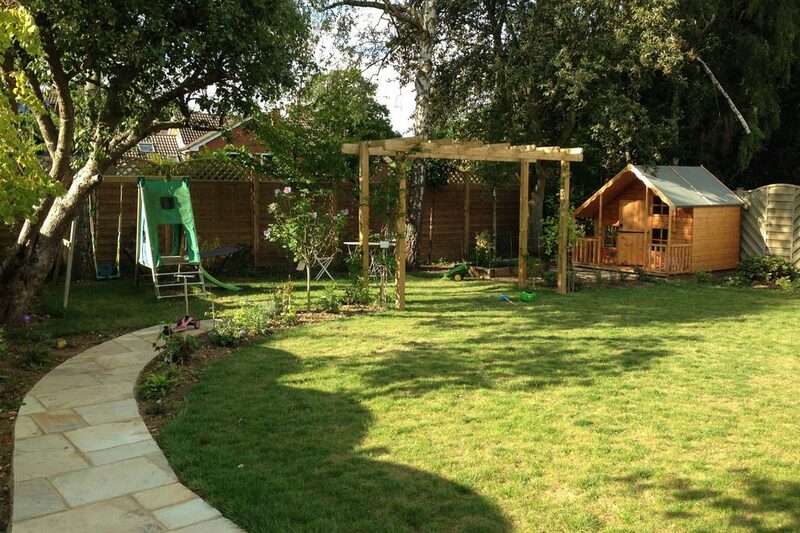 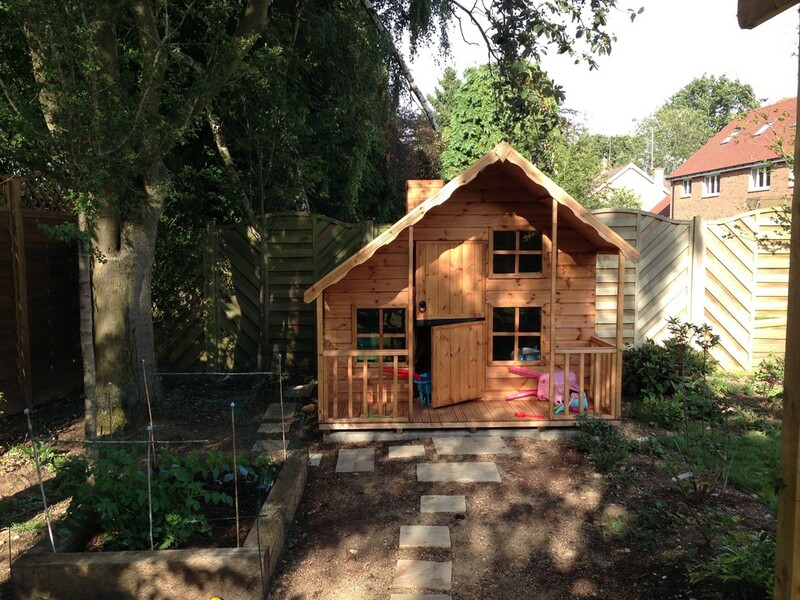 A pergola was constructed to act as a goal post and a playhouse with its own vegetable patch. 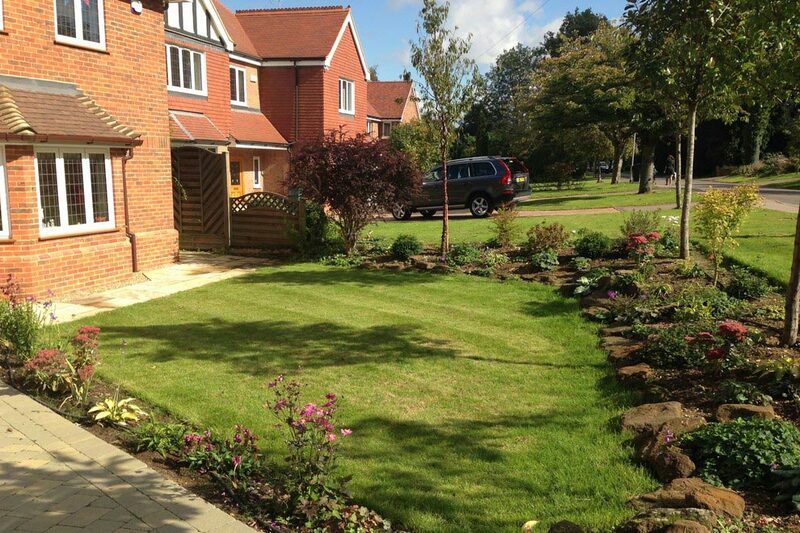 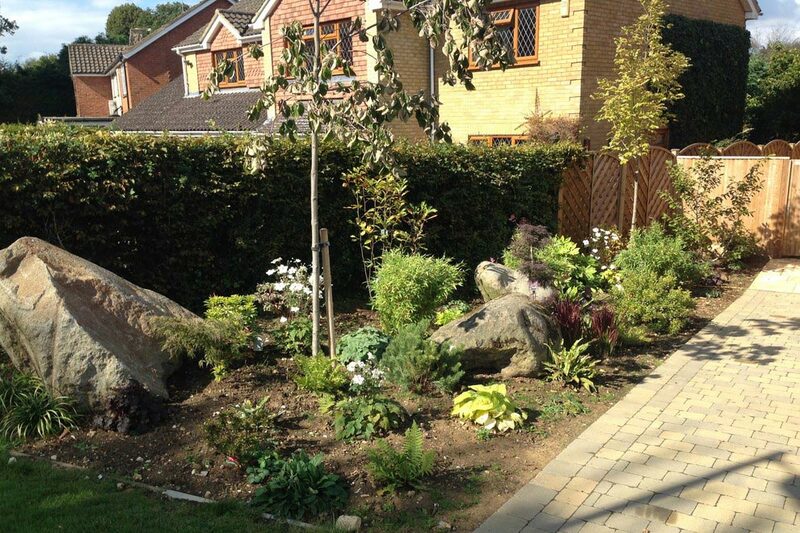 In the front, again a few trees were added for privacy from neighbours, new planting for year round interest and a large bed to the side with a slight Japanese flavour to remind the client of past times.